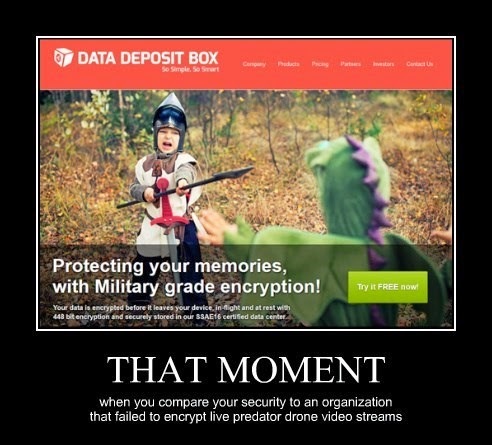 Security Memetics: Are You Sure You Wanna Be Like Them? Thanks to InfoSec Taylor Swift for drawing my attention to an example of "Military Grade" being used by marketing in the wild (and for being coy about it who it was). Frankly, if the military were all they're cracked up to be I'd kind of expect them to be using AES, but that bit strength (448 bit encryption) sounds more Blowfish, which wasn't even one of the AES contenders (Twofish was, though).